"Ready to get sliced?" Wha?! This teaser trailer is awesome! A24 has quietly revealed a new teaser trailer for the horror Slice, an indie comedy about a killer taking out pizza deliver guys. This teaser is based on the popular internet game "Line Rider" (play it here) and features a pizza delivery dude on a motorbike riding down through lines and pizza slice triangles. Eventually some footage appears in the pizza slices, but not much. A24 was going to release the film this year, but pushed it back until sometime in 2018. Slice stars mixtape master Chance The Rapper (aka Chance Bennett) and was filmed "quietly" in Chicago. The rest of the cast includes Zazie Beetz & Paul Scheer. I'm still excited to see this. Seems like it might be a goofy, fun comedy about pizza delivery drivers trying to stay alive in the midst of these killings. Enjoy this teaser. 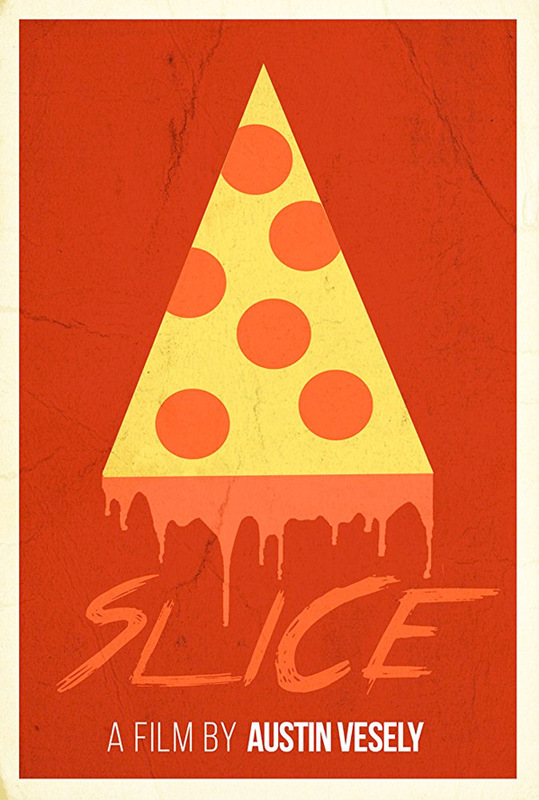 You can still watch the other teaser trailer for Austin Vesely's Slice here, to see a tiny bit of footage. When a pizza delivery driver is murdered on the job, the city searches for someone to blame: ghosts? drug dealers? a disgraced werewolf? Slice is both written and directed by Chicago-based filmmaker Austin Vesely, making his feature directorial debut after working on some of Chance The Rapper's music videos and a short film. He's also shooting a horror film next titled Kingfisher. THR says the film was "quietly shot over the summer in Chicago" and "takes place in a mysterious city, and centers around an enigmatic outlaw framed for a killing spree that targets unsuspecting pizza delivery boys." A24 will release Slice in theaters sometime in early 2018, though no exact date is set yet. Follow them @A24. Stay tuned for more. Who's in?